The award-winning, nationally certified GESMV Miracle Clubhouse provides its members with a work-ordered day, along with partnership, community, and laughter. The Goodwill Easter Seals Miami Valley Miracle Clubhouse is a vital community for growth, hope and opportunity for people recovering from mental illness in the Dayton-area. The Clubhouse is committed to ongoing improvement, positive development of strengths and elimination of the stigma against those with mental illness. At the heart of the Miracle Clubhouse is the belief that every member can sufficiently recover from the effects of mental illness to lead a personally satisfying and productive life. 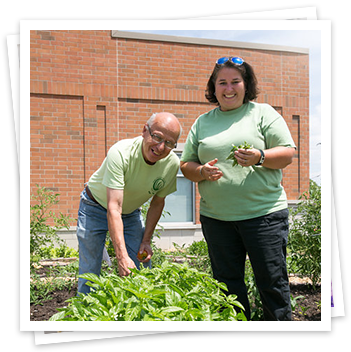 Together, members and staff participate in activities that provide a solid foundation for growth, self-respect and individual accomplishment. Decision making and governance involves members and staff working together to develop Clubhouse plans and policies. 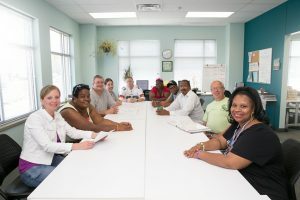 Clubhouses are member-based communities where people living with persistent mental illness come to rebuild their lives. From the movement’s origins in 1948, Clubhouses in more than 300 communities across 28 countries have provided their members with this proven approach to rehabilitation, recovery and re-integration into the community. 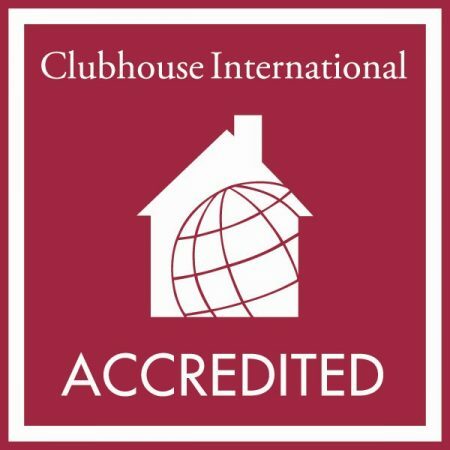 In 2016, Miracle Clubhouse received international accreditation by Clubhouse International. At the time, it was only the 166th club worldwide to receive this honor. Sources: 1 Macias, Kinney and Rodican (1995). 2 McKay, Yates, and Johnsen (2005); IPS model reported by Clark et al (1998); ACT model reported by Macias et al (2001). 3 De Masso, Avi-Itzak and Obler (2001).. 4 Johnson and Hickey (1999). 5 Warner, Huxley and Berg (1999). 6 Leff and colleagues (2004). If you are interested in joining the Miracle Clubhouse Council please contact us at 937-262-7983. Clubhouse Coordinator 937.262.7983 or Behavioral Health Manager at 937.528.6310.